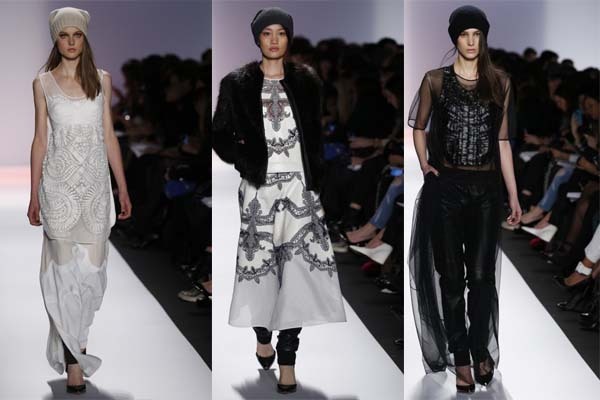 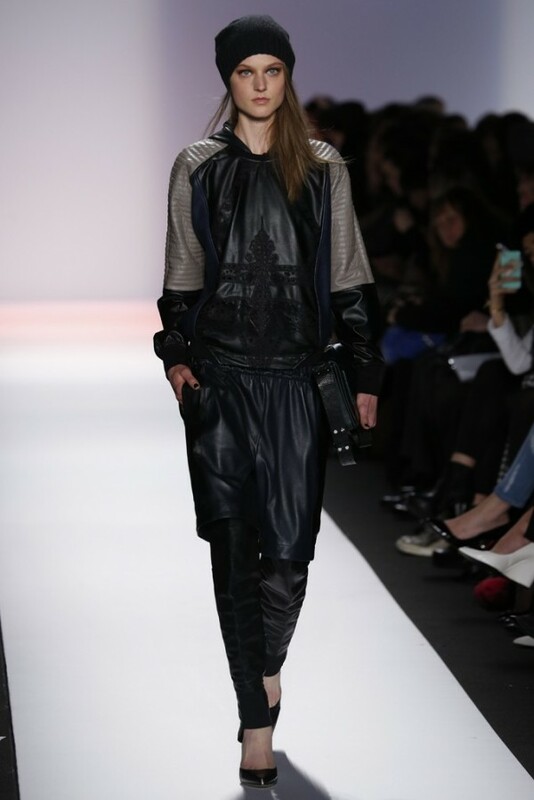 Latest BCBG Max Azria Autumn-Winter 2013-2014 models walk wear collection during New York Fashion Week. 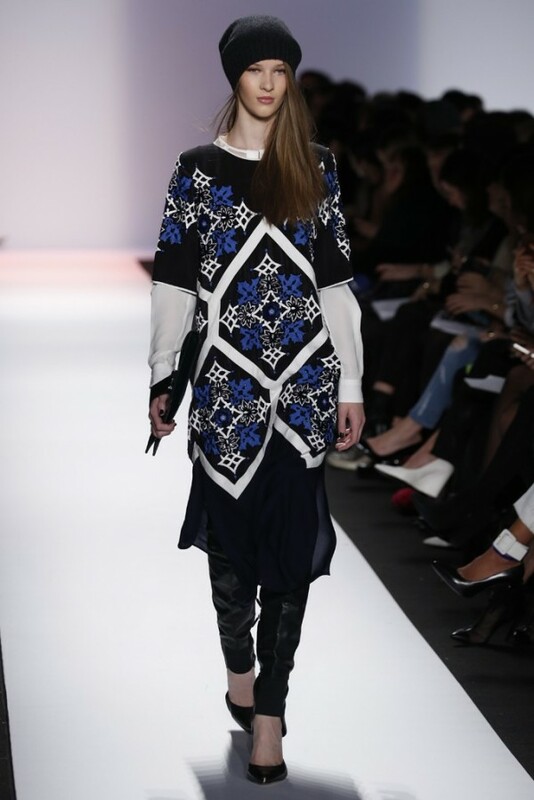 Collection mixed with modern rich textures and wearables prints. 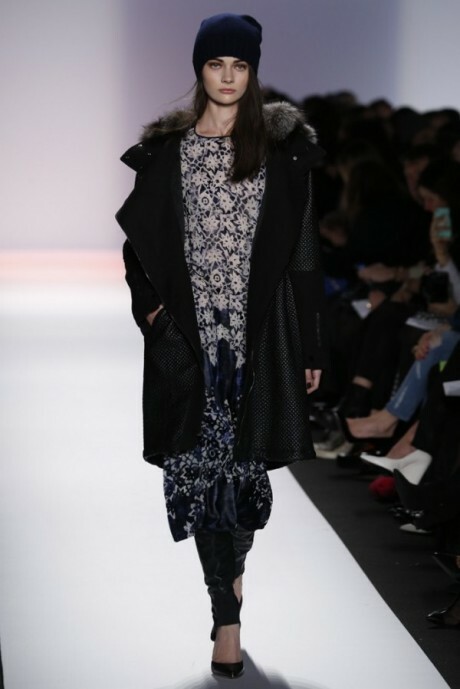 The outfits, including fur-trimmed hoodies, boxy leather biker jackets, quilted parkas with leather patches, sporty jacquard hoodies, colorful patchworked fur vests,as well as cashmere pullovers, laser-cut trapeze tops, clean mesh tuxedo tanks and lizard-embossed boots.